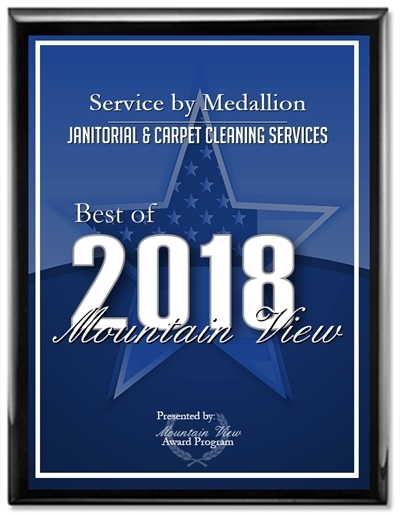 Mountain View, CA – Service by Medallion has been selected for the 2018 Best of Mountain View Award in the Janitorial & Carpet Cleaning Services category by the Mountain View Award Program. Each year, the Mountain View Award Program identifies companies that have achieved exceptional marketing success in their community and business category. These are local companies that enhance the positive image of small businesses through service to their staff, customers, and community. These companies also help make the Mountain View area a better place to live, work, and play. 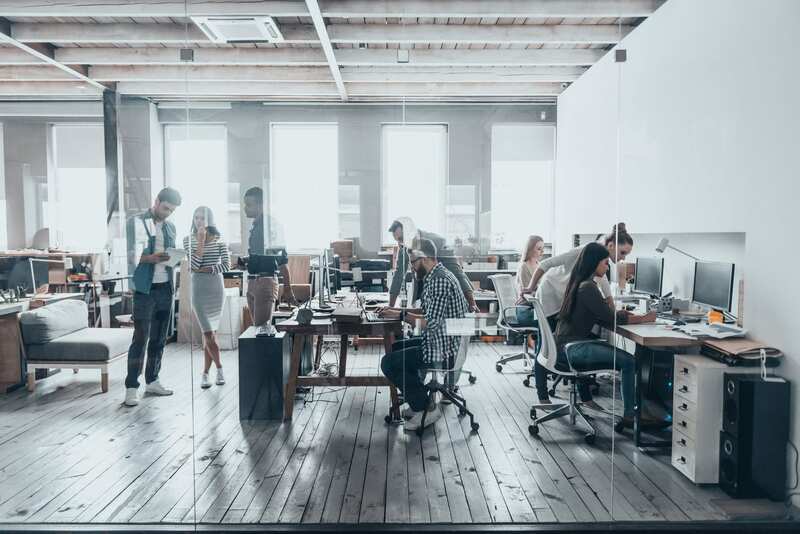 According to one employee who has been with the company for more than 17 years, “Service by Medallion invests in their employees’ professional growth. My decision to dedicate my career to Medallion was not only based on the opportunities and experience I gained [here] but also from the satisfaction I get supporting the growth and advancement of our team. At the end of the day we are in the people business. Providing excellent programs and customer service is easy when you have skilled and motivated staff”. 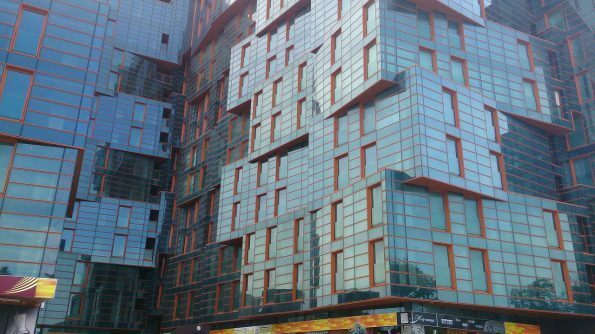 Service by Medallion handles the cleaning and maintenance of several of the largest corporate campuses in the Greater Bay Area. As large as these corporate facilities are and as sophisticated as our technology and processes are, Strick says he makes sure the company continues to create the opportunities for current team members to thrive and advance their careers. “Focusing on keeping operations and leadership regionally, the small family touch helps us build stronger bonds with our customers. … None of our employees or customers are overlooked at Medallion. We make sure they feel that they are all part of the Medallion family and that they have somebody to count on”. Although it was not one of the considerations of the Mountain View Award Program, Service by Medallion is also recognized as one of the leaders in green cleaning and sustainability, not only in the Bay Area , but throughout California. The company recently earned ISSA’s Cleaning Industry Management Standard–Green Buildings (CIMS-GB) certification for the second time and with honors. CIMS-GB focuses on “best practices” to clean facilities using environmentally preferable products and procedures. We are Environmental Stewards protecting the planet through conservation and sustainable practices. We breathe 360-degree integrity, honesty, transparency, consistency, and follow through. We care and love to serve our community and give back. We are passionate about being a partner that clients can count on. We encourage balance, by working hard, enjoying life, and Thriving. We continuously strive to evolve through innovation. We believe in equality, respect for rights, differences, and dignity of others. We collaborate and work together to deliver solutions. We take the initiative and turn ideas into results. We care about safety. Always! 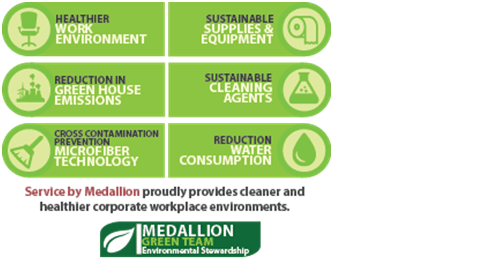 As one of the leading Facility Maintenance companies in the Bay Area, Service by Medallion understands the growing demand in meeting sustainable cleaning goals and the U.S. Green Building Council’s Leadership in Energy and Environmental Design (LEED) certification. We have been recognized by third party associations for the work we deliver, including the ISSA CIMS-GB, Acterra Business Awards, and Silicon Valley Water Awards.